The Ghana Council for Scientific and Industrial Research is a national scientific and technological institution mandated to carry out research into science and technology issues that pertain to national development. The CSIR was established in October 1968 and re-established in its present form by Council for Scientific and Industrial Research Act, 1996, Act 521. By Act 521, the CSIR is required to promote, encourage and regulate research and the application of science and technology for national development. The Act further requires the CSIR to encourage and promote the commercialisation of research results. The mission of the CSIR is to become the force for accelerated social and economic development of Ghana through examining, exploring and creating Science and Technology catalysts for public and private wealth creation. 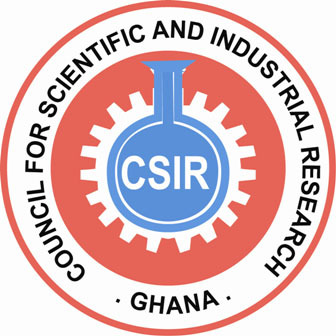 From its Head Office in Accra, the CSIR oversees and coordinates the activities of thirteen (13) research institutes spread thoughout the country. The Act is available on the CSIR website www.csir.org.gh. The Ghana Council for Scientific and Industrial Research is a national scientific and technological institution mandated to carry out research into science and technology issues that pertain to national development. The CSIR was established in October 1968 and re-established in its present form by Council for Scientific and Industrial Research Act, 1996, Act 521. By Act 521, the CSIR is required to promote, encourage and regulate research and the application of science and technology for national development. The Act further requires the CSIR to encourage and promote the commercialization of research results. The mission of the CSIR is to become the force for accelerated social and economic development of Ghana through examining, exploring and creating Science and Technology catalysts for public and private wealth creation. From its Head Office in Accra, the CSIR oversees and coordinates the activities of thirteen (13) research institutes spread throughout the country. The Act is available on the CSIR website www.csir.org.gh. The mandate of the CSIR-Institute for Scientific and Technological Information (lNSTI) is to research into and develop electronic tools and communication systems aimed at solving electronic and communication problems for national development. • Serve as the Head of the Institute and will be responsible to the Director-General for the day-to-day administration of the affairs of the Institute. • Establish effective linkages with relevant institutions and agencies within and outside the CSIR. • Co-ordinate prioritized research of the Institute under the broad guidance of the Director-General. • Promote the transfer of technology to industry/agricultural business and commercialization of research in general. • Co-ordinate research funding initiatives, and provide services and inputs to determine research priorities, as well as formulate and implement Science and Technology Plans. • Be responsible for the overall management and development of the human resource base of the Institute. • A PhD degree or equivalent qualification in Information Science, Electronic, Electrical. Computer Science Engineering or related discipline from a recognized University or Institution . • Not less than 12 years experience in Research and Development (R & D), including at least 5 years of successful experience in a management position. • Distinguished research contribution as evidenced by scientific publications. The research output should be adjudged to be at least equivalent that of an Associate Professor/Principal Research Scientist. • Ability to organize, direct and co-ordinate activities within a Research Institute for national development. • Good knowledge of the agencies in the relevant Sectors, as well as the ability to interact with top management in other institutions and agencies. • Proven ability to inspire research staff and supporting personnel. • Ability to generate and attract funding, both internally and externally, to support research activities. • Ability to translate policy decisions into action programmes.